Episode 86: Black Friday & Debt Free Living, plus Congressional Budgeting, Nov. 22, 2011. Today I welcome financial coach Jon White to the show as we discuss politics, holidays, faith, and debt free living. 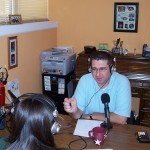 Jon runs the blog JW’$ Financial Coaching and hosts two podcasts at www.jwfinancialcoaching.wordpress.com. First and foremost, I owe an apology to our listeners for not releasing an episode last week. In my infinite wisdom, I attempted to save a few bucks by upgrading our email/smartphone sync service myself. Three days later without a new podcast episode or anything else productive, I had the sad realization that I should have called my IT guy and paid him to do it right. I saved $100 but it cost much more than that in lost productivity. Lesson learned. The congressional super-committee has done a not-so-super job of finding their assigned $1.2 trillion in budget cuts. Since they can’t agree on anything, they’ve basically given up and will allow the pre-planned $1.2 trillion in across-the-board cuts take place over the next nine years. The problem is, we’re still over-spending by at least that much each year. Their plan (or lack of plan) still gets us as a country deeper in debt. Not good. Black Friday is the topic everywhere this week. It’s interesting how much more hype there is each year about all the “stuff” you need to buy on sale than there is about being thankful for the stuff you already have. Are you shopping for more stuff this year or taking time to remember the reason for the holiday? Last year Janelle and I offered our thoughts on how Black Friday doesn’t always live up to the hype. Check out 032 Financial Excellence: 6 Tricks Retailers Use to Get Us to Buy and 033 Financial Excellence: Black Friday Doesn’t Have the Best Deals. If you are going shopping on Black Friday, Jon recommends having a written budget so you don’t over-spend. In fact, you probably should have been budgeting for Christmas gifts and holiday spending all year. Here’s the Gift Planning Worksheet that Janelle and I use to stay on track with our shopping. Remember, just because it’s on “sale” doesn’t mean it’s a good deal or it’s the best price. Even if it’s a good price, it’s only a good deal if you needed it, you were planning to buy it anyway, and you have the cash to pay for it. No deal is so good that it’s worth going deeper in debt to buy it. Jon just launched a new podcast, called “Debt Free Living,” where he interviews people who have been successful at getting out of debt. The cool part of the show is its focus on life after debt. It’s amazing what you can accomplish when you don’t have the anchor of debt weighing you down.